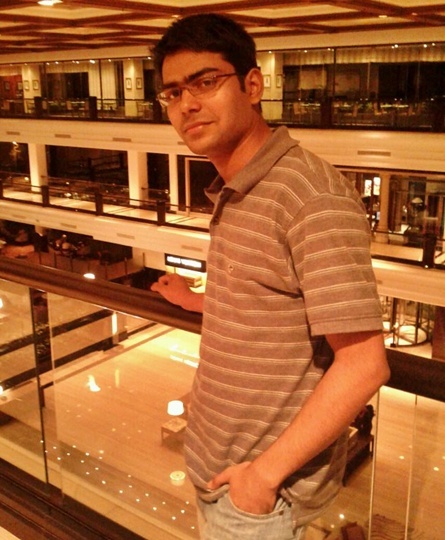 Rediff.com » Business » Will investors back Rahul Yadav again? Will investors back Rahul Yadav again? Rahul Yadav might be out of Housing.com but it is unlikely that you can keep him away for too long. Many believe he would soon start a new venture. Will investors back him again, given their experience at Housing? Business Standard spoke to a dozen over the weekend and found it is a divided house. While many angel and seed investors who invest very early in a venture are willing to back Yadav again, not many early-stage venture capital investors are. “People make mistakes, learn, mature and grow and evolve. “He is young and I’m sure much wiser with experience,’’ says K Ganesh, serial entrepreneur, partner Growthstory.in and chairman and co-founder, Portea Medical. “I have myself been very immature and done several things when I was a first-time entrepreneur at 29 years in 1990, which in hindsight were not correct, childish and immature. “So, the raw innate potential needs to be nurtured. I would rather bet on people who have erred and, therefore, that much wiser than those who have never had the opportunity,” says Ganesh. Padmaja Ruparel, president, Indian Angel Network, feels investors will definitely look at funding a start-up by Yadav again, but they would like to know how he would scale it, build his team, and do more due-diligence around it. “He saw a big gap in the market, was able to execute his model and raise money at quick succession. He has not done anything mala fide. “At best, what he has done reflects a lack of maturity. I’m sure he will realise it himself, learn, grow and evolve. People will give credence to what he has done,” she says. Anand Lunia, who leads seed stage fund India Quotient and has backed rental portal Grabhouse.com, says he’ll definitely meet Yadav if he comes up with a venture and is looking for funding. “While I think Rahul has spark, I really wonder how he could hurt his own company, regardless of the problems he had with the investors. For a great founder, the company is above everything,” he says. Venture capital investors, who invest slightly later than angel investors, are less supportive. “We had passed on Housing the first time around. The answer would remain the same,” says the chief executive officer of a leading Mumbai-based VC firm, who met him over three days when Housing was raising its first institutional round of capital and decided against investing in his firm, as they were uncomfortable with him. “He’s a very tough guy to manage for an investor,” says a senior executive with a Delhi-based VC firm, which has invested in a rival real estate portal. “Yadav could be super smart in product and technology, but if he makes a comeback, he must have the ability to look at the business side just like Bhavish (Agarwal) has done at Ola,” says the executive quoted above. “He could be a great seed-stage bet, but it will be tough to make a large bet on him,” says an executive with a VC firm. According to him, once a founder has taken outside capital, he is responsible towards all shareholders, including investors.